Fall has arrived and I couldn't be more excited. The weather here in Michigan has been wonderful and it's really putting me in the perfect fall spirit. 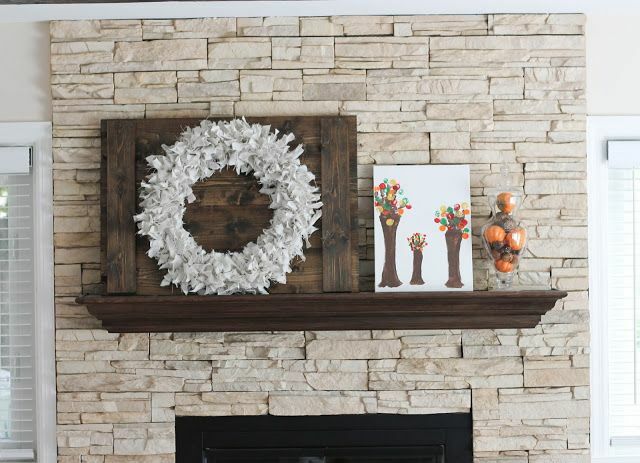 My favorite DIY fall project - this oh-so-pretty wreath. My favorite use of fall colors. 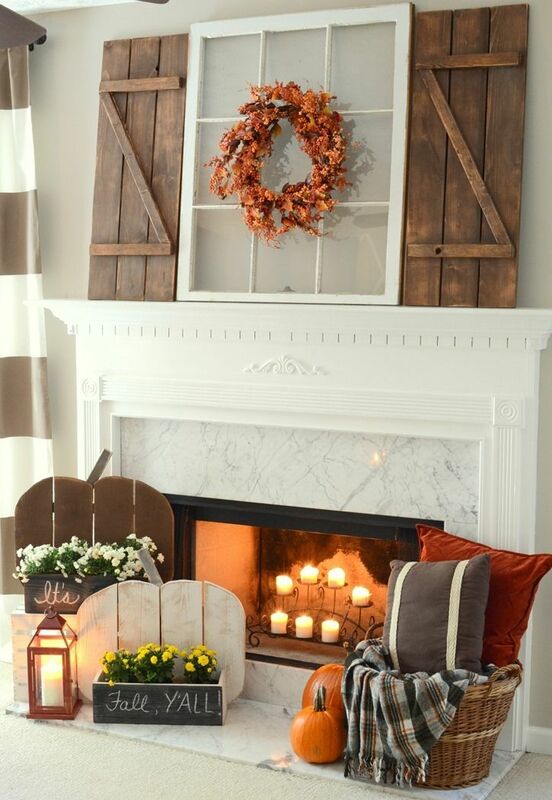 My favorite fall-inspired living room. 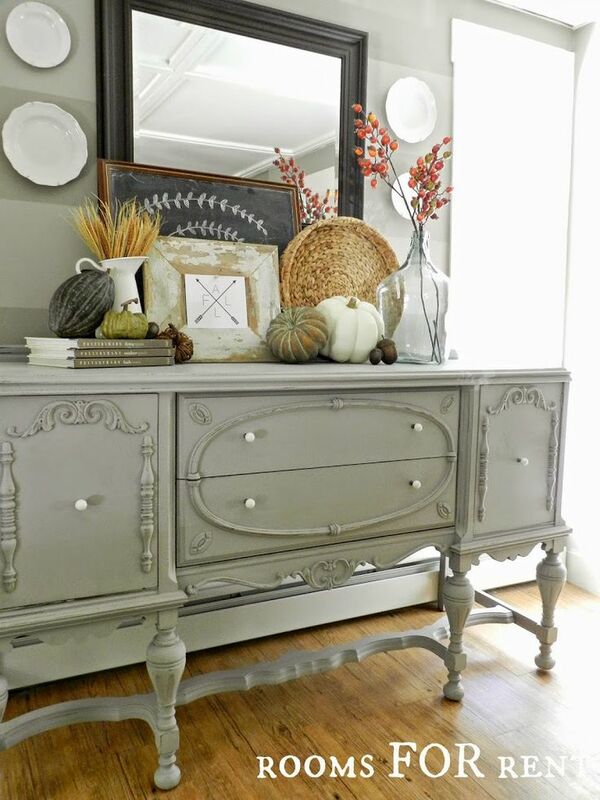 My favorite dresser and chair. 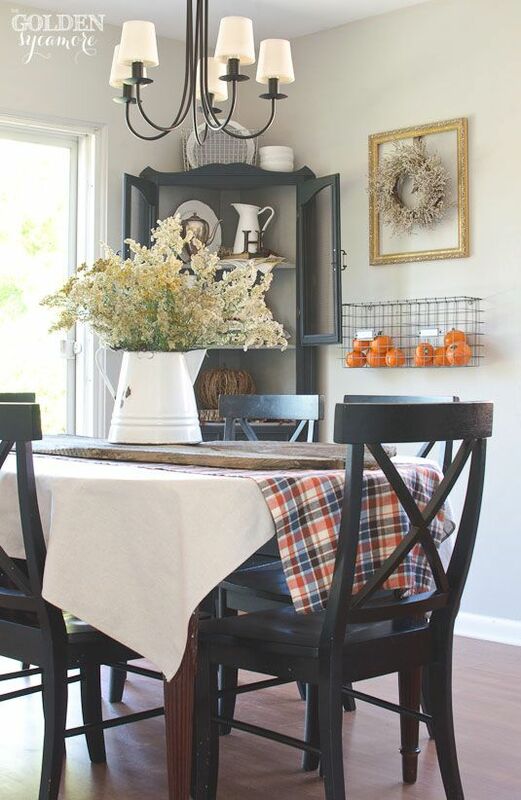 My favorite fall-inspired dining room. 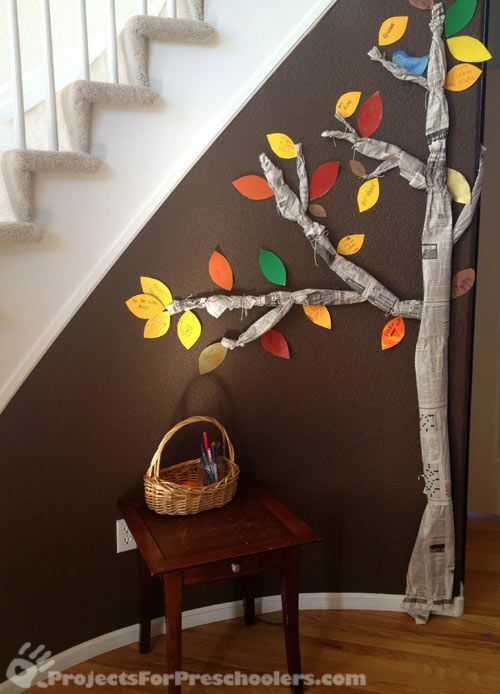 My favorite thankful tree for kids. 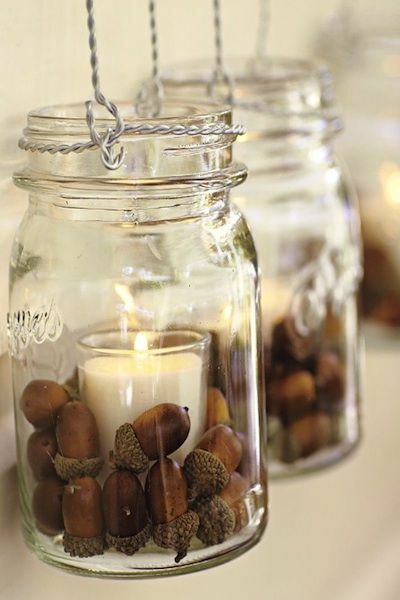 My favorite use of acorns. My favorite place to eat a dinner on a cool October evening. ;) Could this be any more beautiful? Want to see more? 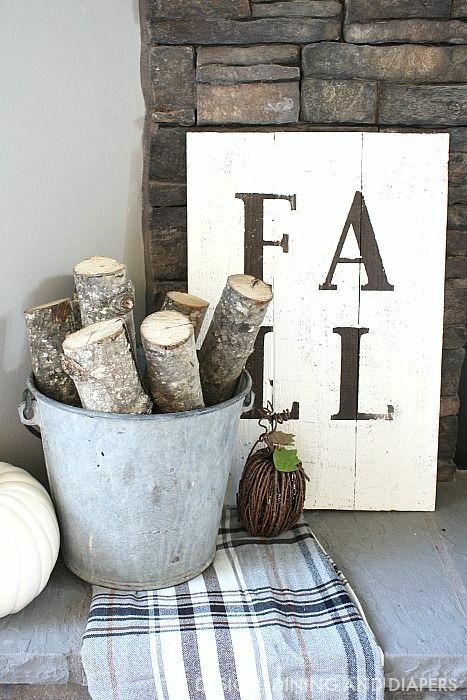 Find me on Pinterest for even more pretty fall inspiration! Thanks for stopping by today, guys and gals! Everything looks so beautiful! Too bad Liam would destroy everything pictured. Haha! Stoooooooooooooooooop! I'm feeling lazy and haven't gotten my decorations out yet! Now I have a project! Haha! I already feel like I need to be decorating for Christmas! Slow down time! Marie, I love this post soooo much!! 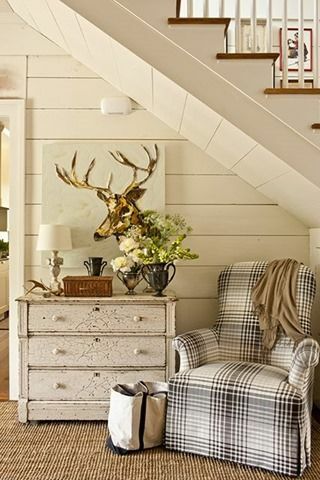 That front porch is GORGEOUS!! 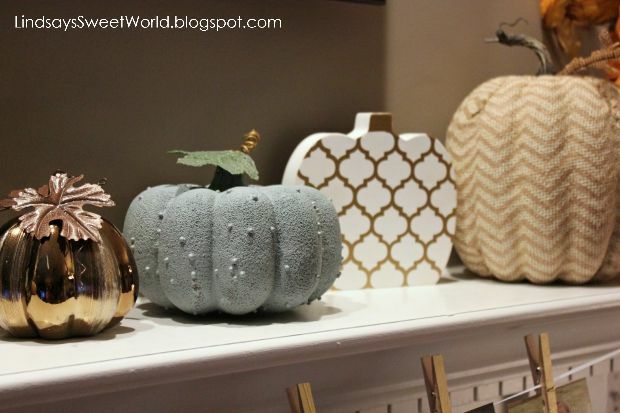 And thank you so much for featuring my pumpkins on here! I'm so glad that you like them! Thanks! There's just sooo much inspiration out there! It's crazy! 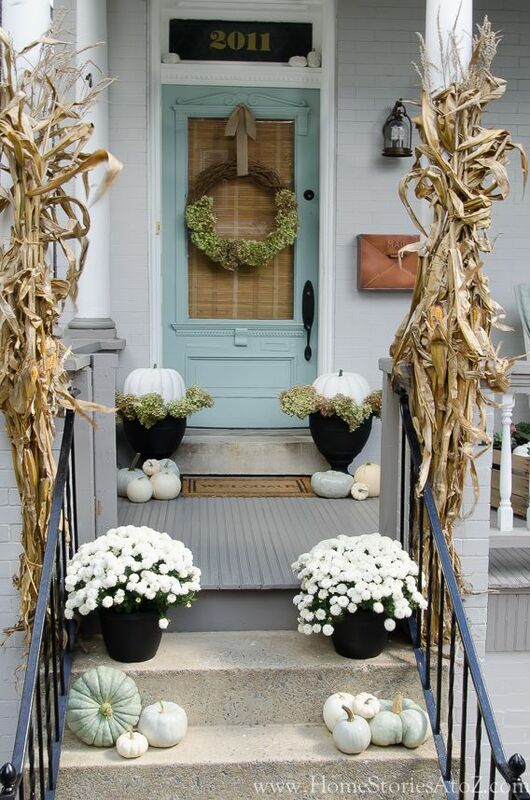 I looove that wreath. She did an amazing job. 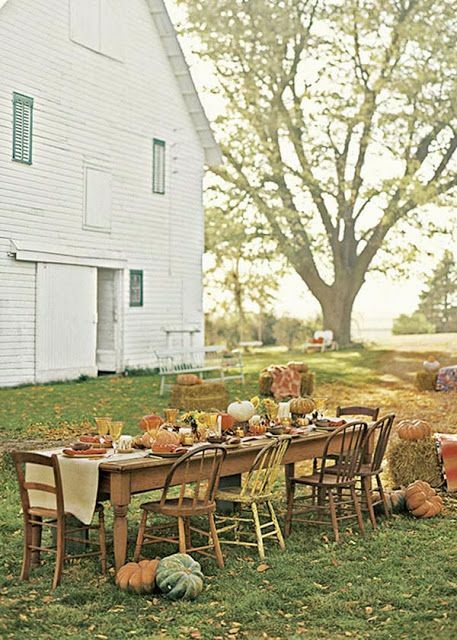 Ooh I love all the fall decor. 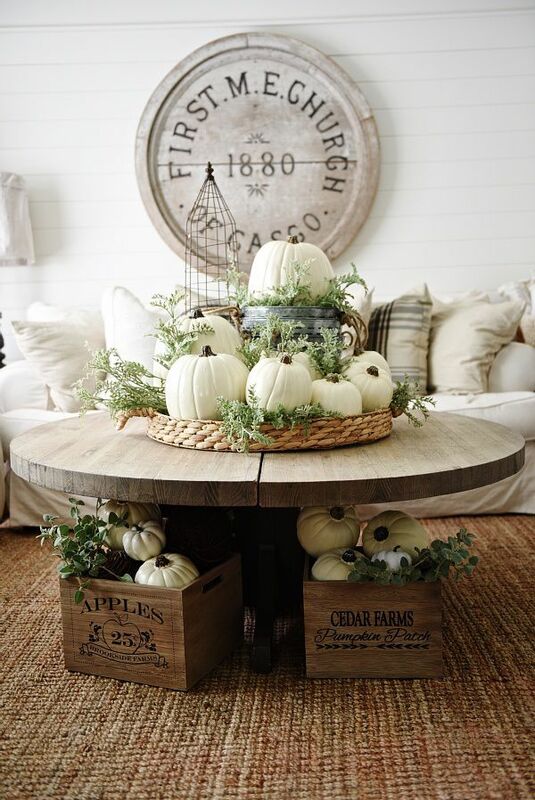 One day I will be organized and have seasonal decor! I love green pumpkins--how unique! Yes! Those green pumpkins. So cool! I love all of your favorite things. Great taste! 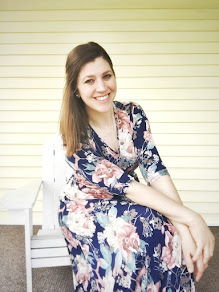 Where in Michigan do you live? I live in the Grand Rapids area. I actually popped over here to thank you for your great comment on my Farmers Market.